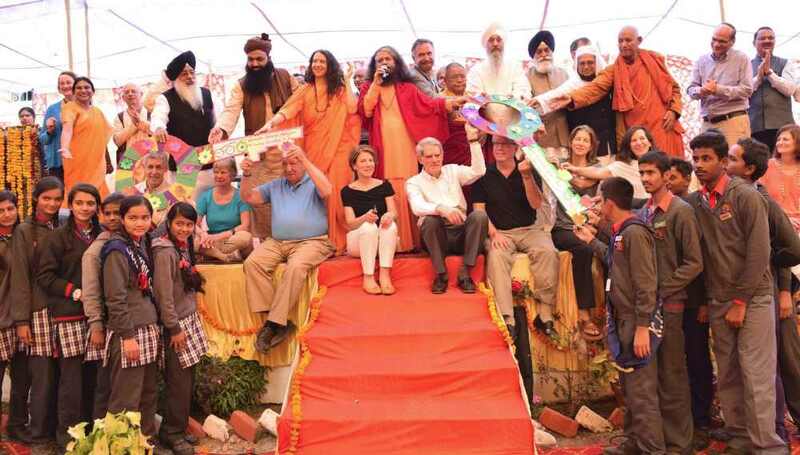 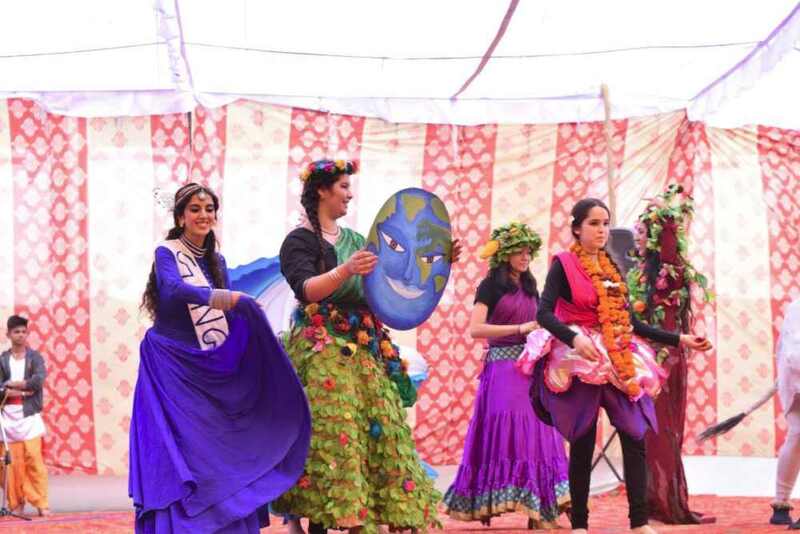 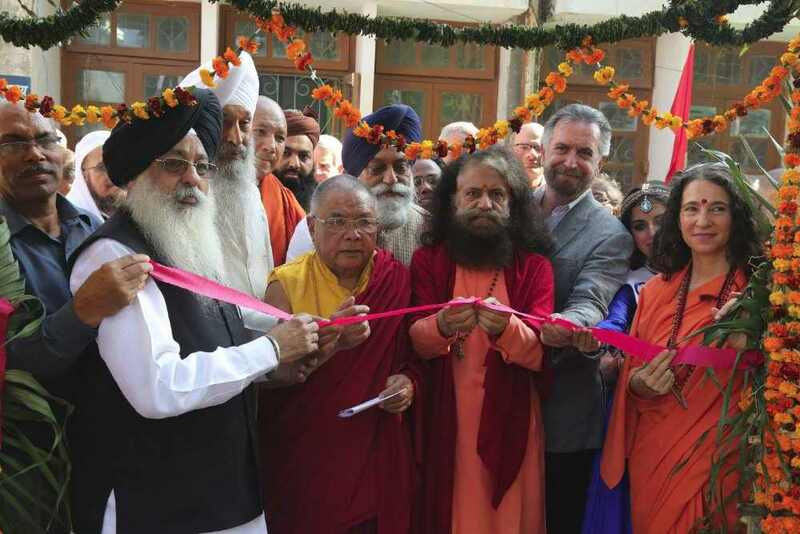 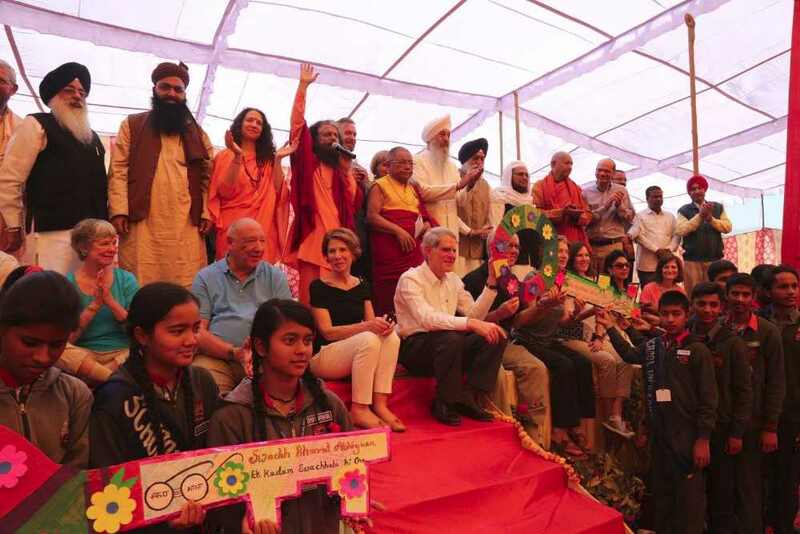 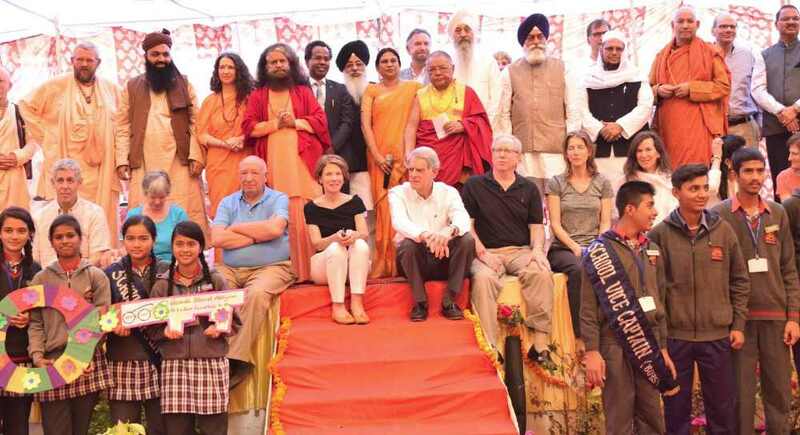 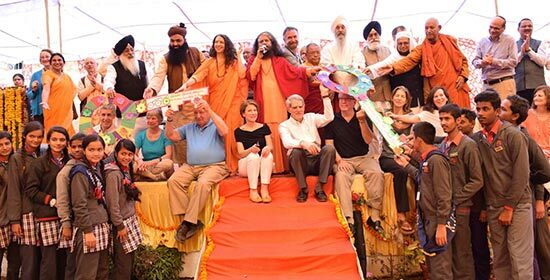 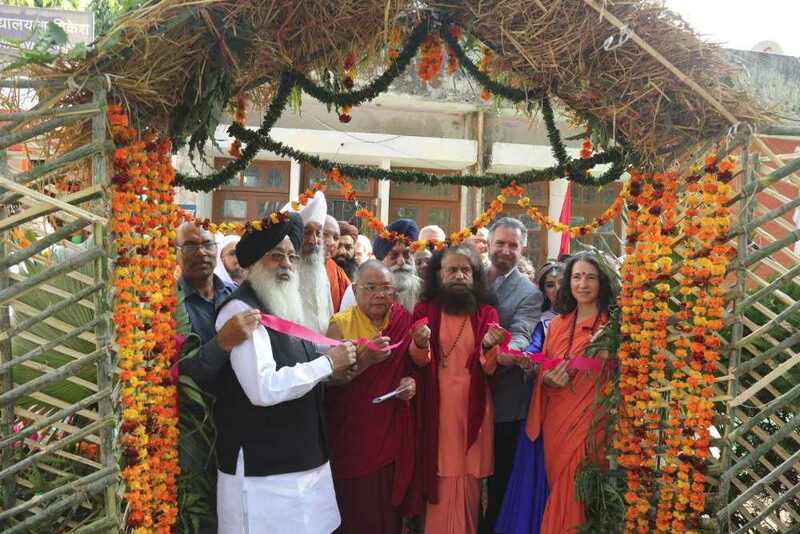 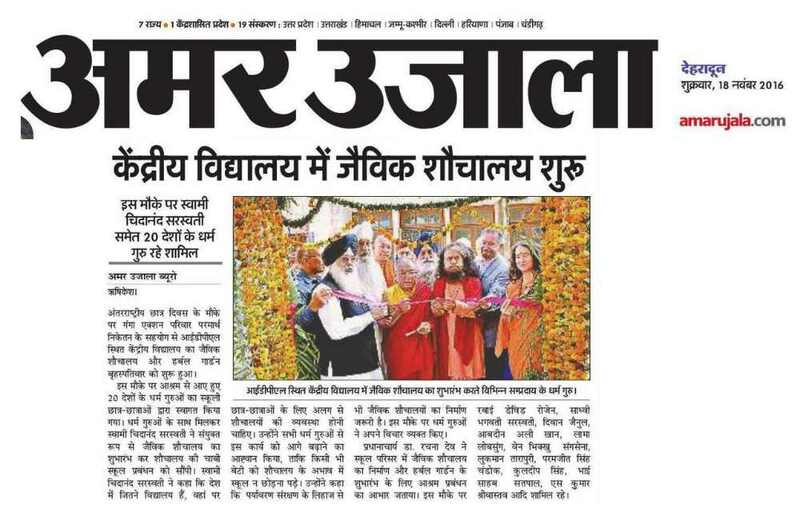 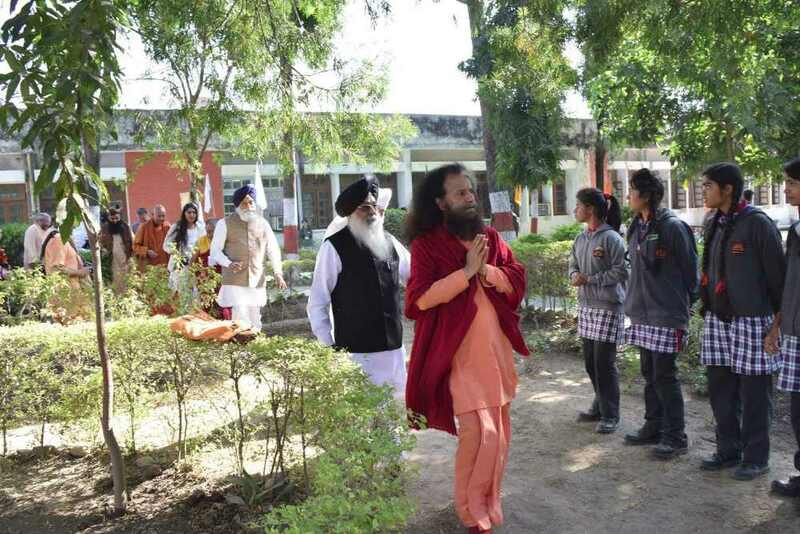 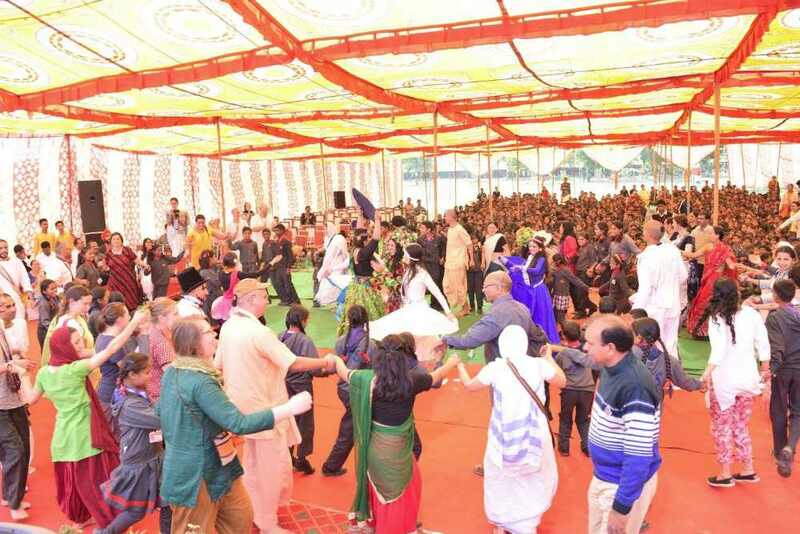 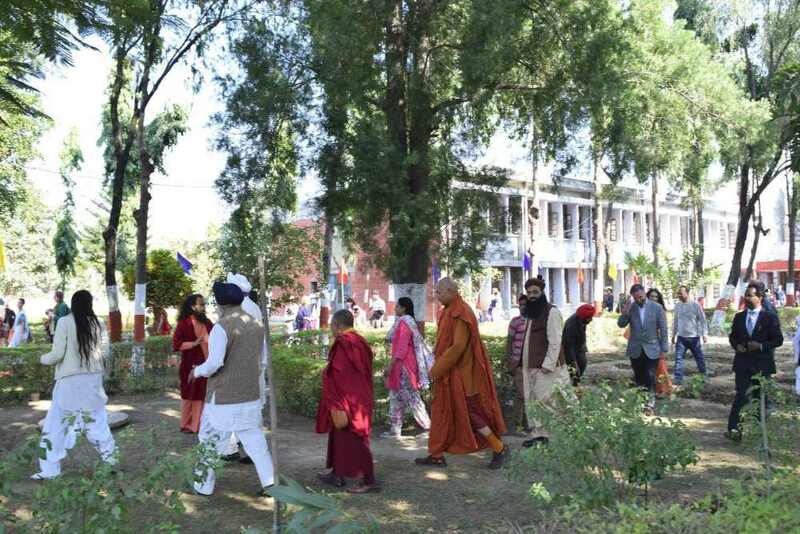 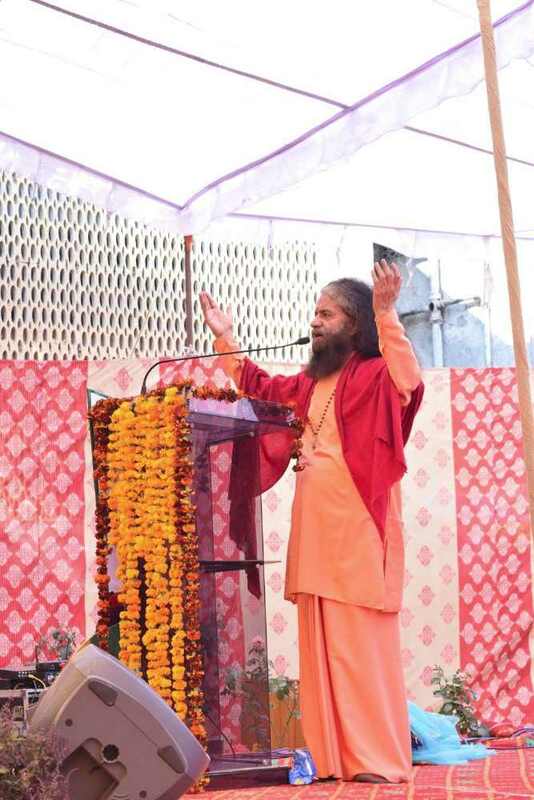 The Global Interfaith WASH Alliance, Ganga Action Parivar and Divine Shakti Foundation came together with interfaith leaders of the American Jewish Committee to hand over the newly built bio-toilets and recently launched school herbal garden to the students of the Kendriya Vidyalaya school. 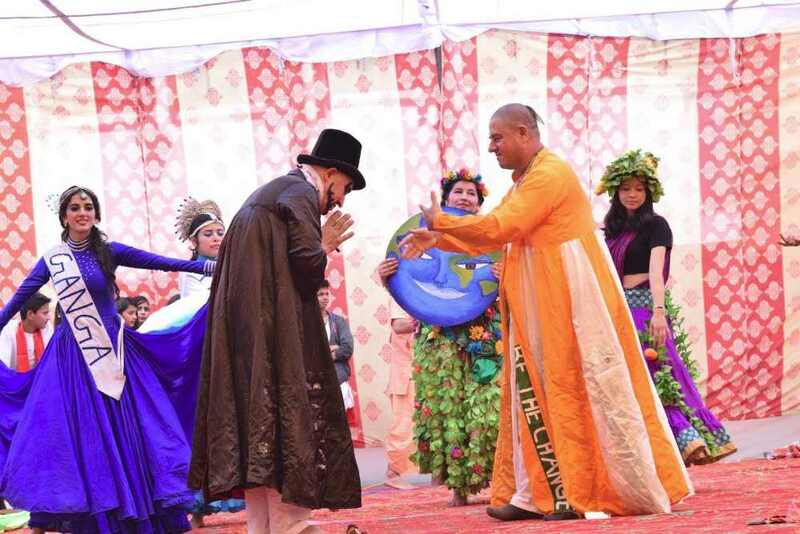 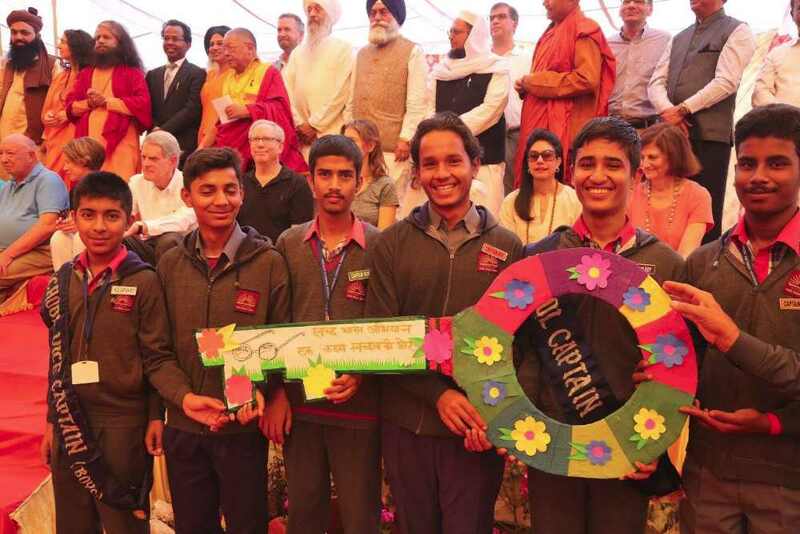 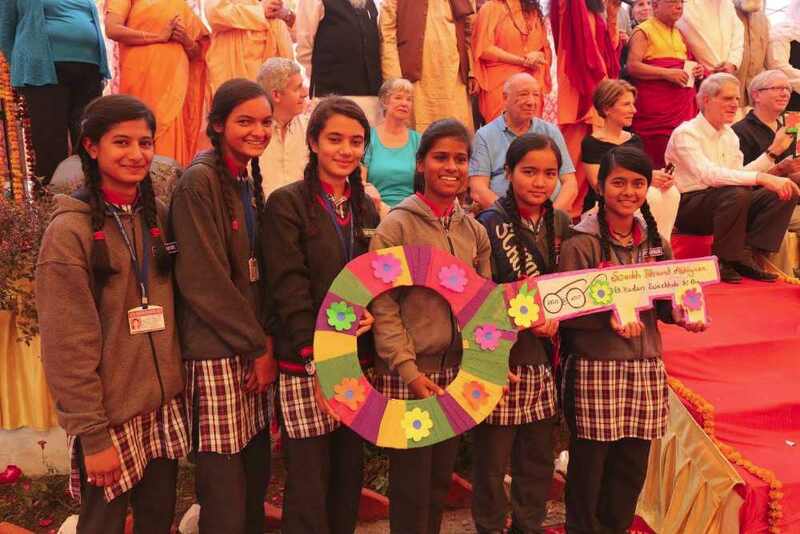 A symbolic key, prepared by the students, was handed over by the respected faith leaders to the children as a symbol that with this green technology and curriculum, focused on preservation and protection of our environment and natural resources, they too can have the keys to unlock a cleaner and greener world. 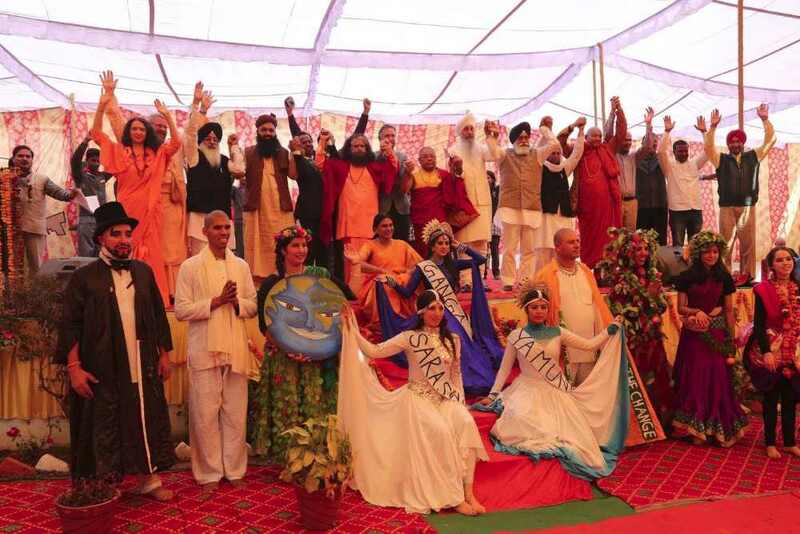 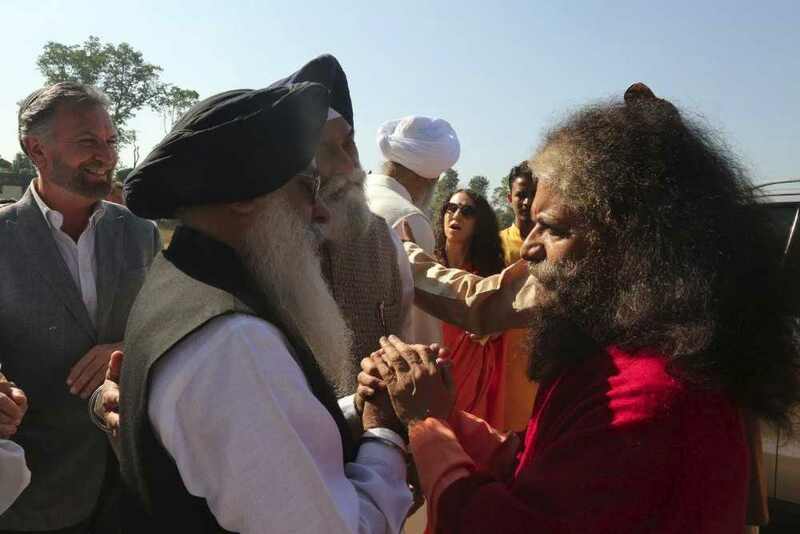 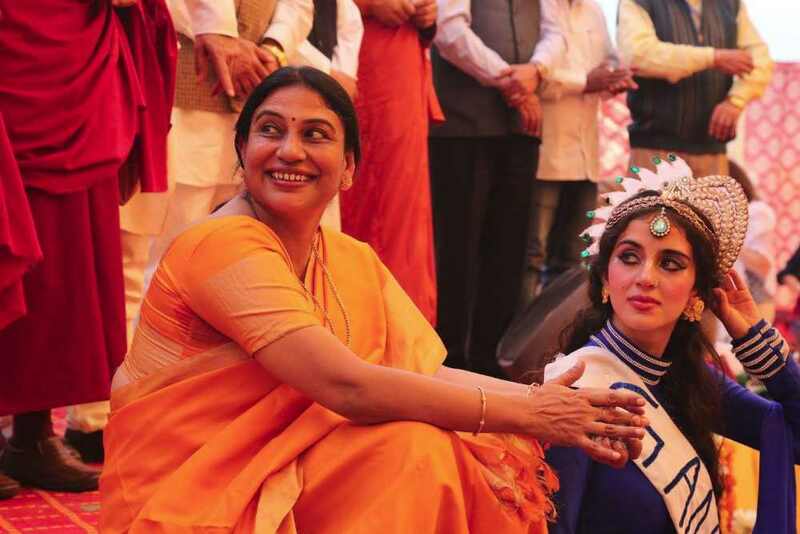 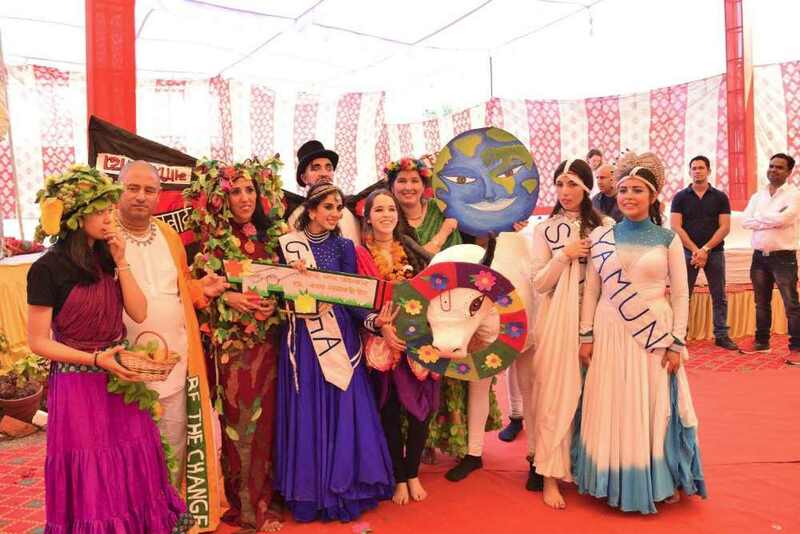 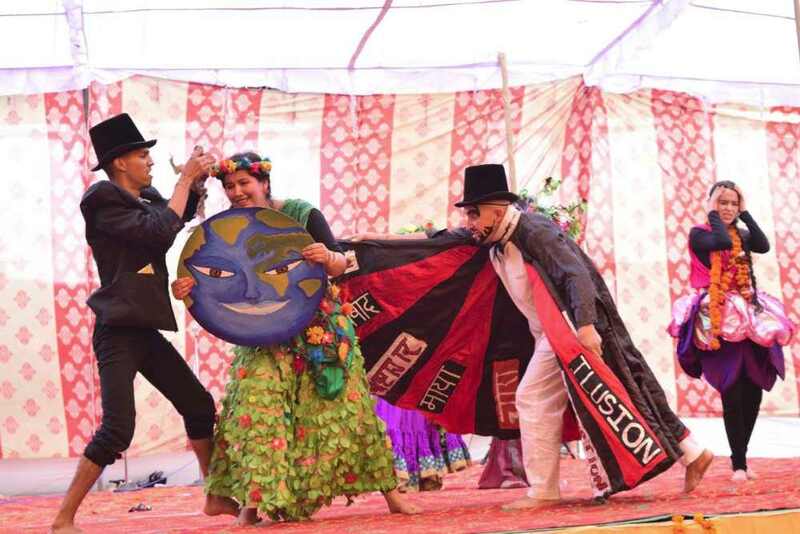 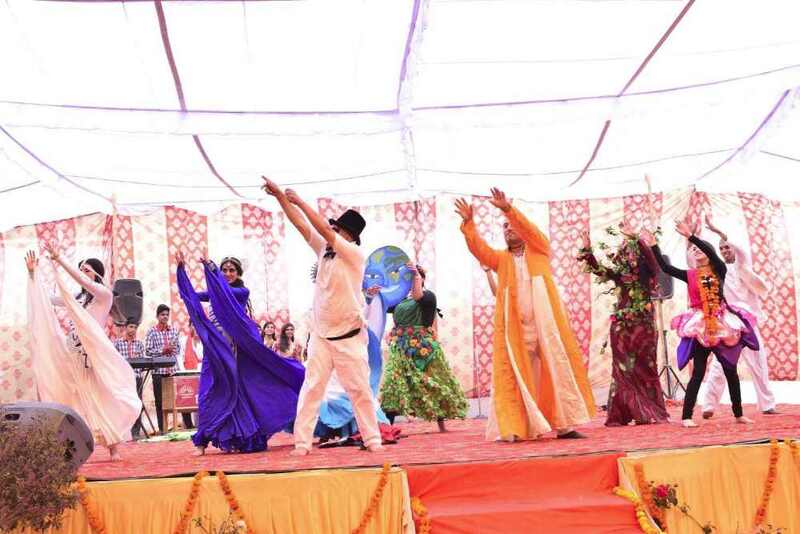 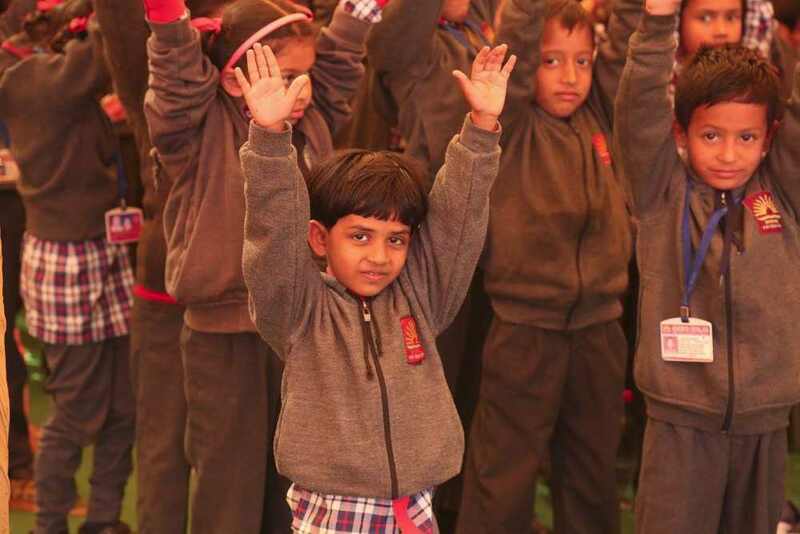 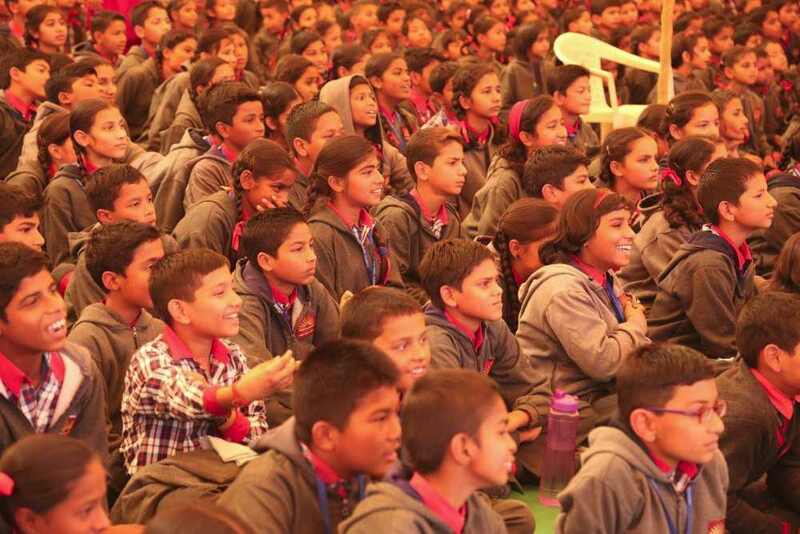 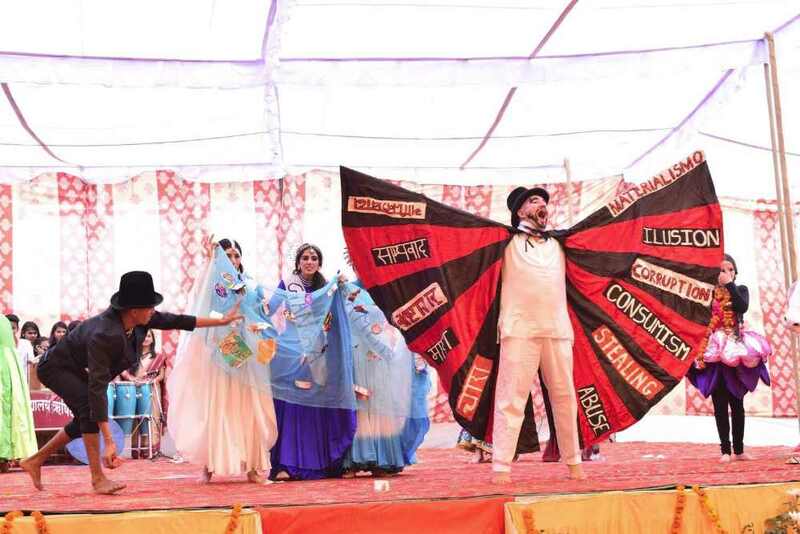 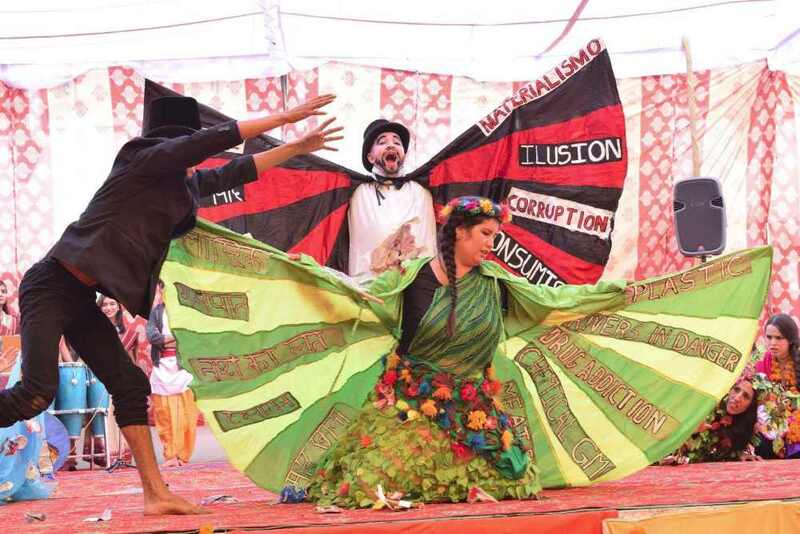 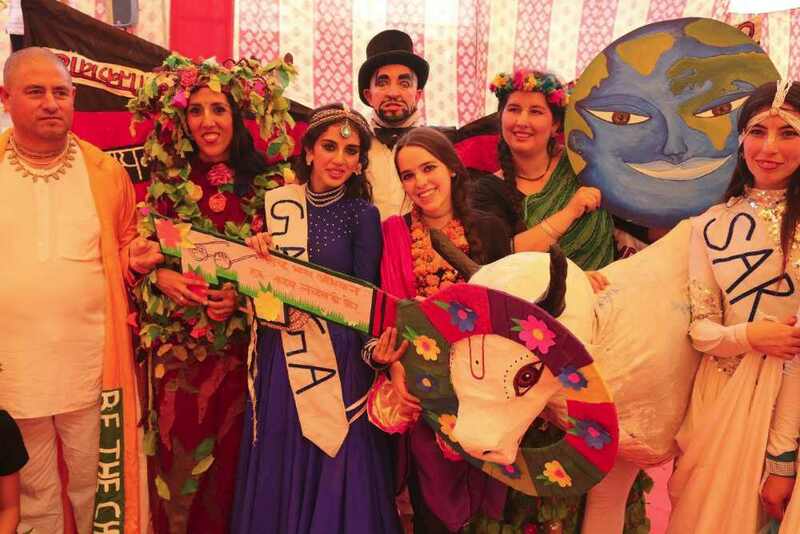 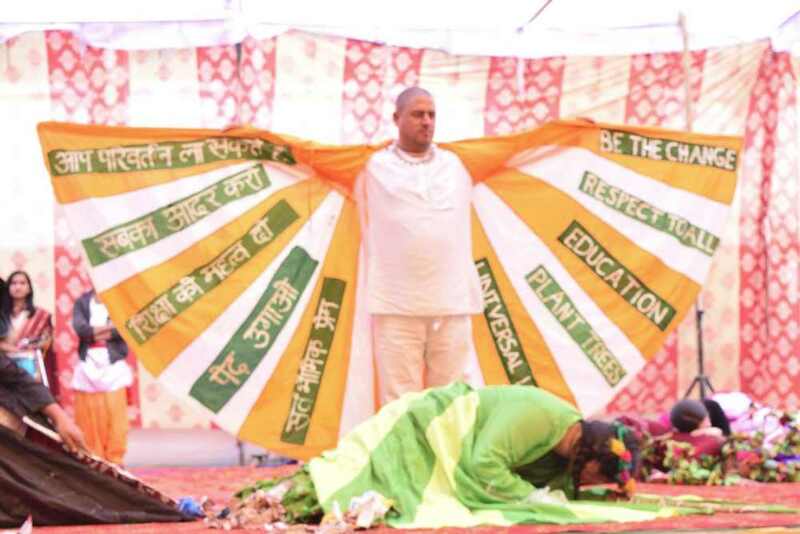 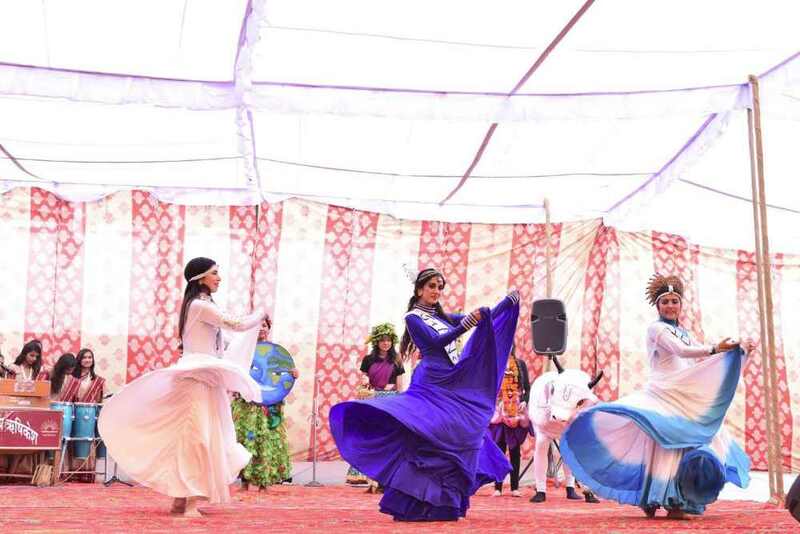 Sadhvi Bhagawatiji led a mass pledge for Swachh Bharat, Swachh Vidyalaya (Clean India, Clean School) that brought all of the school children to their feet. 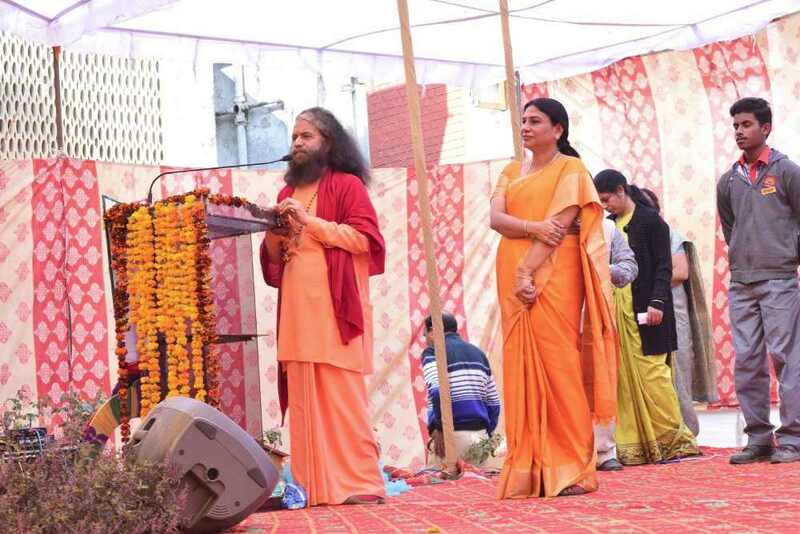 She emphasized the critical importance of sanitation facilities to ensure that every child, especially every girl child, has the ability to thrive in school.